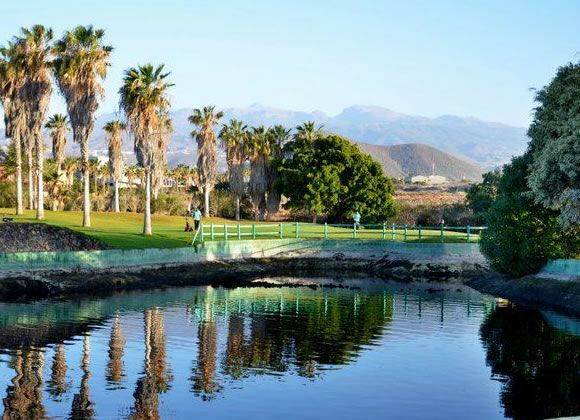 First opened in 1987, with a professional tournament, the Golf del Sur Golf Course of 27 holes was made by the famous designer Pepe Gancedo. 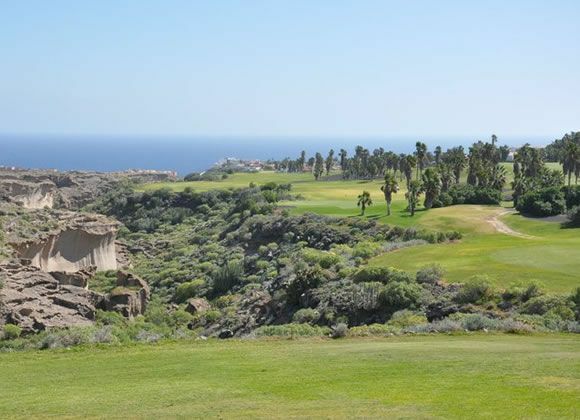 But Manuel Piñero was the person in charge turning the Golf del Sur into the only golf course on the Canary Islands with 3 courses after renewing the enlargement of the Links course in 2005. 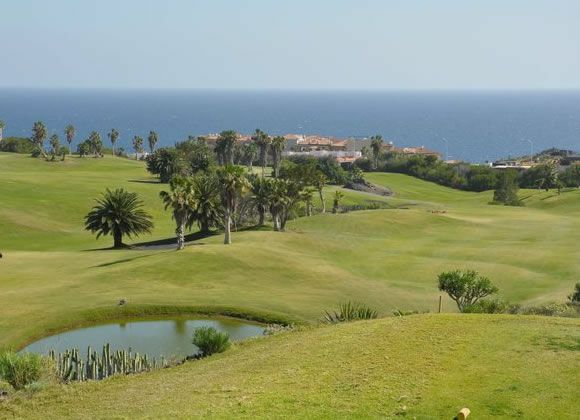 The 27 holes are perfectly divided on the three courses: the North course with 2949 metres and 9 holes splitted in 2 holes with par 3, 5 with par 4 and 2 with par 5. At the South course there are 2 holes with par 3, 5 with par 4 and 2 with par 5, covering an extension superior of 2957 metros. The 36 shots recently opened at the Links course are divided in 2 holes with par 3, 5 with par 4 and 2 holes par 5 with a playing area of 2853 metres. 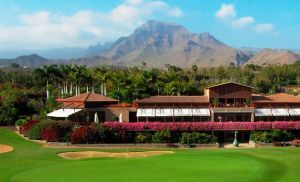 Built on an area declared of National Tourist Interest is one of the most important golf complexes on the island: Golf del Sur. 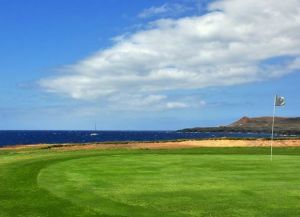 The wide, rolling fairways are dotted with numerous natural obstacles. 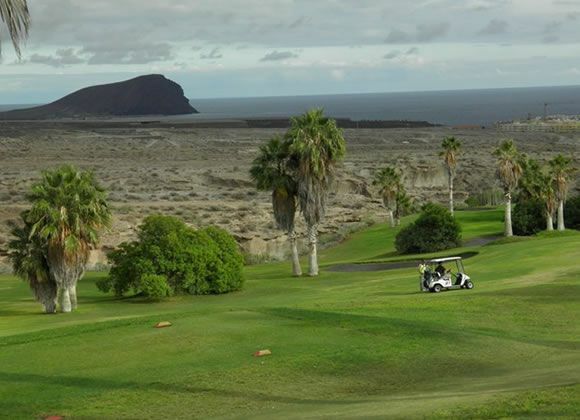 The presence of several lakes contrasts with the spectacular bunkers of volcanic sand that surround the greens. 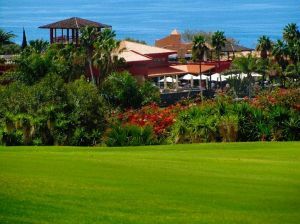 The presence of the sea and the impressive cliffs that mould the course let the golfer fully enjoy each visit made to Golf del Sur. 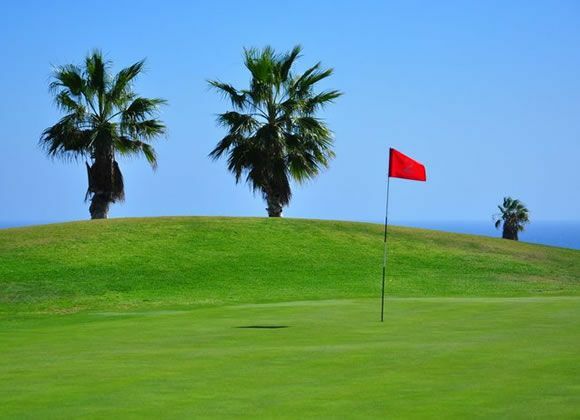 Golf Del Sur has different Services to offer. Choose a date and number or players to see the rates.